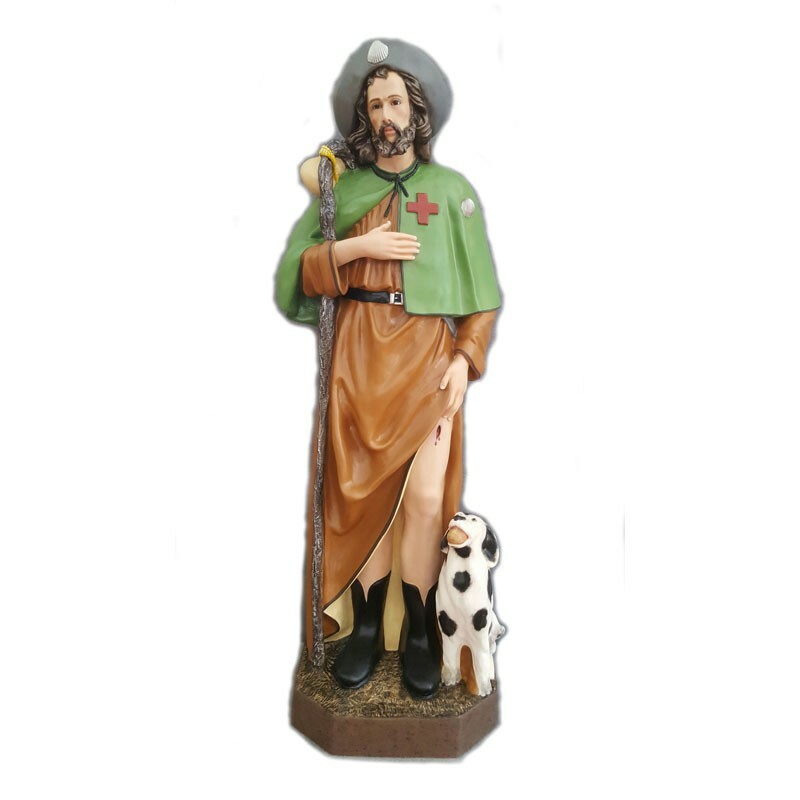 Statue of Saint Roch of 115 cm. 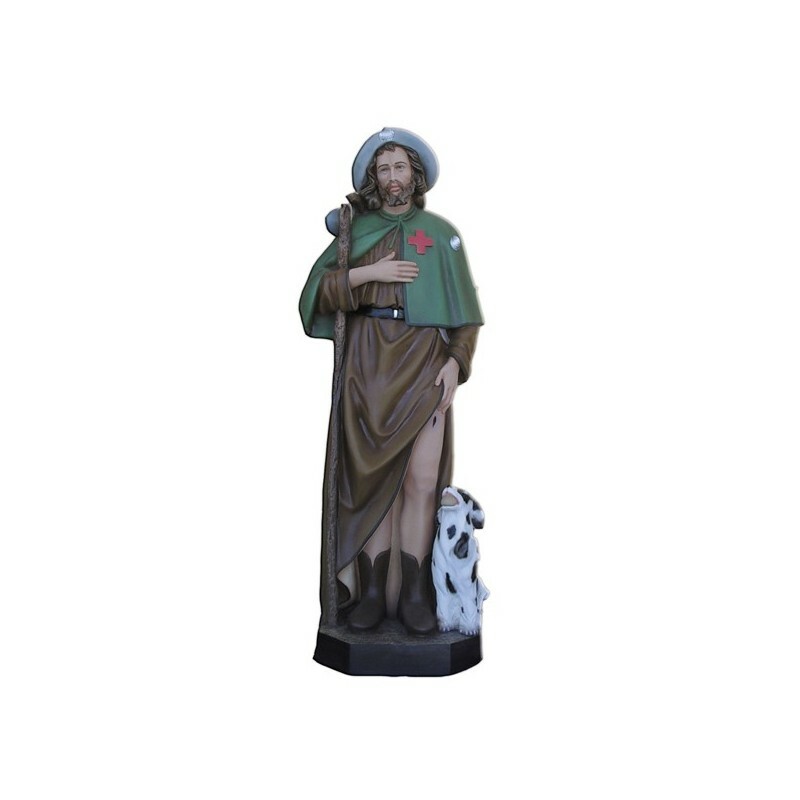 Statue of Saint Roch, 115 cm of fiberglass, handmade in Italy. Saint Roch lived between 1350 and 1380. He was from Montpellier and he dedicated his life in service of the infected; he was a pilgrim amd a healer and he is invoked against the pestilences. The sources about this saint are not reliable. 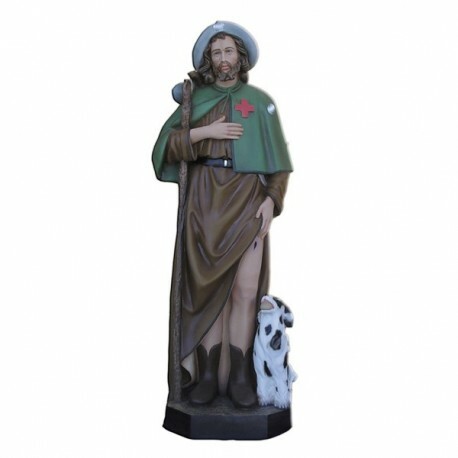 He is considered the patron of the infected, the marginalized, the wanderers, the pilgrims, the health workers, the pharmacists, the volunteers and the animals. He is also the protector of the knees and the joints. He is illustrated with the pilgrims clothes, with a walking stick and a shell, with a dog at his feet.